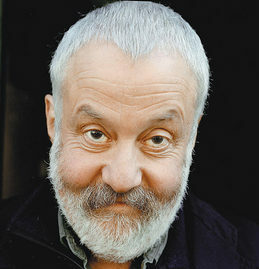 Mike Leigh has long been a great director, but now he is surely at the top of his form. "Another Year" has premiered here and is the film everyone I talk with loves the most. It is so beautifully sure and perceptive in its record of one year in the life of a couple happily married, and their relatives and friends, not so happy. After "Vera Drake" (2004) and "Happy-Go-Lucky" (2008), Leigh cannot seem to step wrong. A women at the press conference asked Leigh (left) "did you have to make Mary so sad?" She might as well have asked, "did you have to make Tom and Gerri so happy? " They're a long-married couple, played by Jim Broadbent and Ruth Sheen, and they seem in complete accord about their life together. They garden, they work, they welcome their friends, they hope their son will find the right girl, they are in love. Their steadfast joy in each other's company is essential, I believe, to provide the film with a center around which the characters revolve. Remarkably, these days, their 30-year-old son loves them and is happy, and they have no "issues." Theirs is the home poor Sally comes to when she realizes she has made no home of her own. As Leigh's film grows through spring, summer, autumn and winter, it involves the lives touched by Tom and Gerri (yes, they smile about their names). In particular they observe Mary (Lesley Manville), who is single, lonely, getting older, and alcoholic. "It's a shame," Tom says at one point after she's ended yet another sad visit, and that's all he has to say. These people are not us, and yet we know them. They attend the funeral of Tom's sister in law, and we have never been to a funeral quite like it, and yet it is like many funerals. The uninvolved clergyman, the efficient undertakers, the remote father, the angry son, the handful of neighbors who didn't know the deceased all that well, the family skeletons. In particular, notes of social embarrassment that Leigh specializes in; the ways people display their anguish without meaning to. It will have to be quite a film to snare the Palme d'Or away from this one, but there is a week to go. 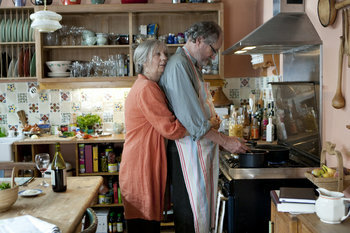 If "Another Year" isn't the Palme winner, then Lesley Manville is a good choice for best actress. When the film opens I'll have to find words to describe her work, but for now all I can say is, it is astonishing. "Outrage" by Takeshi Kitano, on the other hand, is as bad as "Another Year" is good. People left the theater joining in that ancient query, "Why in the hell did they select this film?" Kitano is a gifted Japanese director who has made many films I admire, but this must be his worst. It involves two warring factions in the Yakuza, or Japanese mafia, and by the end of the film just about everyone on both sides is dead. That's what happens. No characterization. Minimal plot. Many murders, nicely stylized. Kitano makes it a point to set everything in a sterile environment. No Japanese tradition here, except for an eating-house. Only steel, aluminum, glass, plastic, and shiny black limos. Black, white, silver, and blood red used as an artist's signature after every killing. He has one idea in this film: The Yakuza code is being used to eradicate the Yakuza. Unfortunately, he doesn't take the entire 109 minutes to tell it. It only takes him a minute to tell, and he tells it 109 times. Paul Cox is here. That is a blessing to be shouted. 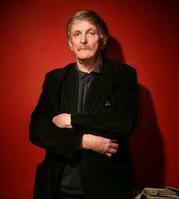 The great Australian director has returned after receiving a liver transplant in December. Over the years I've admired his films ("A Woman's Tale" and "Innocence" were at Ebertfest), and his spirit. He's one of the warriors, an independent director who does nothing for hire, who makes only films close to his heart, whose humanism you could call spiritual. I first saw his work through the Chicago Film Festival, and then we found ourselves meeting at least annually, at Toronto, Cannes, Chicago, Sundance, Telluride, once at Calcutta where a projectionist succeeded in the theoretically impossible feat of showing his film upside-down. Last year at Cannes we met for what we both feared could be the last time. I was in my current condition, and Paul had been told he had serious liver disease. He'd been a friend to Chaz and me during our troubles, and now it was our turn, as he embarked on a difficult search for a liver that matched his blood type. We exchanged a lot of e-mails. He was always Paul, amused, philosophical, keenly aware of life. He didn't drink much, but he loved to smoke his pipe, and reported almost in triumph that the doctors told him his liver problems seemed linked to no vice. No liver appeared. His hopes faded. On Christmas Day 2009, joined by his loved ones, he believed he had days to live. On that day, the phone rang, and he found a suitable liver had been found. He had the transplant operation, it seems to have been successful, and at one point he warned me not to e-mail any jokes good enough to burst his stitches. Few people have ever suggested any of my e-mail jokes were that good. Paul visited us for dinner in the company of Nate Kohn, his daughters Sophie and Lily, and his friend Christie. Paul and Nate have been close for years. Nate, director of Ebertfest, is teaching a University of Georgia class here, and Sophie is blogging on my site this year. We sat in the little lobby of the Hotel Splendid and shared the sense that, by God, it is Cannes and we are here again, and who can deny it?